Chances are you’ve considered how to open a bar more than a little — you wouldn’t be reading this if you’re not serious, right? It sounds like a pretty good gig, doesn’t it? You get to spend your evenings pouring pints and mixing cocktails for your regulars. Or do you? As anyone who’s set up a bar will tell you, things are never that simple. It’s a long road, and there’s a lot of things to get right. We’ve trawled the web to find 50 pieces of top advice from experts who’ve been there, done that, got the t-shirt. What do you need to start a bar? Where’s best to set up your bar? What do you need behind the bar? How can tech help you run your bar better? What’s the best way to market your bar? How can your run your bar more efficiently? 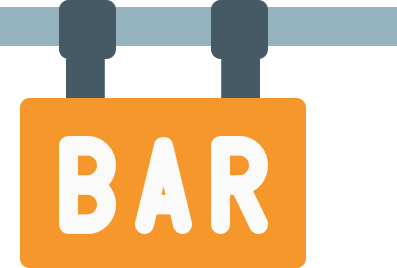 Let’s start with the nuts and bolts: what do you need to start a bar? Starting a bar isn’t for everyone. You need to know your stout from your sazerac, sure. You need to be passionate about what you’re serving, as well as the customers you’re serving to. But you also need to have the willpower and the discipline to get through lengthy licensing forms and tedious stocktakes, and to not freak out when your bar’s unexpectedly quiet. You need to combine a good head for business with a love for customer service and the willingness to put in the hours — and not everyone can claim that. "This business is a good fit for entrepreneurs who are passionate about their work. Those who love interacting with people will thrive on a business that revolves around customer interaction, and those who are good at networking will be able to more quickly jump-start their businesses. Finally, those with previous management experience will have an easier time with the day-to-day activities of a bar owner." And in an interview for Inc, Scott Baird, a cocktail consultant based in San Francisco, elaborates by saying that the bar business is referred to as a business for a reason. Unlike your customers, you’re not necessarily at your bar to have fun, but rather to help make the fun happen — and you should thrive on that. "It's the bar business and not the bar hobby," said Scott Baird [...]. "Bars can easily hemorrhage cash from every side until they are dead in the water. One of the keys involved in having a successful bar is being organized. You're not really going to be participating in the fun that guests are having so much as facilitating the fun." There’s one way to find out if this kind of work suits you, and that’s to try it for yourself. The duo behind Sydney bar The Botanist say in an interview with Australian Bartender magazine that you need to learn as much about the business side of things as you do the front-of-house. You don’t need to be an expert — that’s the reason people hire accountants and consultants, after all — but you need to get a thorough grounding in running a business to make sure that your new venture can stand on its own two feet. As well as having a grasp of how to run a business, you’ll need a good supply of money — bars don’t come cheap. Research done by Sage, the accounting giants, indicates that you’ll need a six figure sum in order to set up a bar. They’ve created a handy resource that estimates the costs associated with setting up a bar, and generates a budget for you. 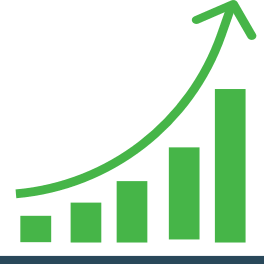 “While costs can vary quite a bit, the average cost to open a pub from the ground up is about $480,000—although costs can range from $110,000 on the low end to $850,000 on the high end. However, if you’re looking to take over an existing bar, it’s possible to get started for as low as $25,000 (with the right planning, of course)." Meanwhile, the team at Power Home Biz have done sums of their own, and made a budget of their own. Theirs is focused on setting up a nightclub, so some elements might not transfer to every type of bar — a cozy wine bar isn’t likely to splurge on a massive DJ system — but you’re likely to need to spend on things like marketing and furniture no matter what. "Below is an estimate of a potential range of start-up cost you might possibly incur for your nightclub business based on our interviews with nightclub owners. The actual cost may be lower or higher than these numbers (in many cases, higher than the estimates below), depending on the elements and features of your club." There are ways to cut down on costs, though. One way is to buy or lease a space that is already a bar. That way, you’ll save on fit-out costs as pretty much everything you need will already be in place. You’ll also have a customer-base that’s carried over from the bar’s past life, meaning you’ll save on marketing. You might even be able to convince a few staff to stay on. "The key, Dupont says, is to think of the first restaurant in a new concept as a test case. Find a small, existing restaurant space, give it a cosmetic makeover, and get great food out there, so diners can start the buzz going." "The rising cost of opening a bar along with the instability and risk has seen a few bartenders opting for a residency over ownership, much in the same way as renowned chefs. This will naturally alleviate most of the initial outgoings but it will also omit any potential goodwill value that may be attached to a resale. There are of course ways to generate funds and set the ball rolling." A verbal contract’s not worth the paper it’s written on, according to Emily Starbuck Crone at Nerdwallet. This applies no matter who the agreement’s between. "Many entrepreneurs open bars with family or friends and want to keep it casual. But experts recommend you take it as seriously as any other business relationship. A common mistake is failing to draw up a business plan and operating agreement to ensure that all owners are on the same page, says John Caine, who owns Hidive, Café Mars and Julie’s Supper Club in San Francisco." The way you decorate and fit out the your bar is integral to its atmosphere and what your customers think of the place. It sets the tone for your customers’ experience. Decor is something that can make or break a bar. Customers are far less likely to spend their time and money in a place that isn’t inviting or comfortable, so you need to make sure that your bar is well-decorated, no matter what look you’re going for. "The difference between a silver and a gold medal in Olympic sports is measured in fractions of seconds, and I want gold in my till,” said Sother Teague, beverage director at Amor y Amargo, a 240 square-foot bar in New York City. “Ergonomics are of great importance to me. If I can save a movement here, and a step there, I'm shaving seconds off of every transaction." "Designing with bartenders in mind is “especially important because they’re going to be behind this bar. They’re going to be the ones who bring in revenue to your business every day,” says Francesco Lafranconi, executive director of mixology and spirits education of Southern Wine & Spirits of Nevada. When you’re spending 8-10 hours behind the bar, ergonomic design impacts your health and efficiency." The team at Chron Small Business offer some concrete advice on how to do this — they talk about how much space you need to give behind the bar, and say that you should make sure that what you design is appropriate for the space you have. "Design an appropriate layout for the space constraints. Assess the measurements of the bar and create a blueprint. Review bar furniture catalogues and gauge the average size of bar stools, cabinets and other equipment. 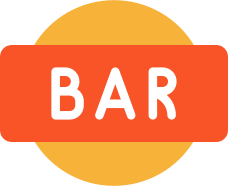 Use these measurements in plotting the expected layout of the bar. Allocate roughly 3 feet in width from the space where bottles are displayed to where guests are served; this gives the bartender enough room to retrieve bottles and make beverages." Creating a blueprint and working from that is at the heart of Dawnvale Group’s advice. They say that it’s important to plan your fit-out from the start, and to try as much as possible not to deviate from it. Going in with a plan will make everything easier, and cheaper to boot. If you’ve got a budget then you’ll know precisely where you can splurge and where to save. "Avoid planning your fit-out as you go along; total up the cost of everything, from fittings and fixtures to the type of glasses you’re going to have so that you don’t run into any unwelcome surprises that can blow your budget. Don’t try to minimise your costs by buying second-hand equipment either; this might appear to be a quick win initially but can be hugely costly if you’re unable to get refunds or meet regulations." Part of this is making sure that everything is up to spec. No matter where you’re setting up shop, you’ll need to comply with some pretty stringent regulations. When planning your fit-out, you need to take these regulations into account, or you could run the risk of hefty fines or, worse, being shut down. Busy Chef’s blog talks in more depth about the reasons you should comply, and how to plan your fit-out to keep within the regulations. "Environmental health and building regulations have become more stringent for food businesses over the years, and inspectors are evermore wise to the shenanigans of contractors looking to cut corners. I have been privy to some unpermitted work performed on a weekend when local authority employees are typically not on duty. “I don’t know where that huge ventilation duct came from sir”. Do yourself a favour and get the proper permissions for the work being done. Penalties are very costly, and the most expensive penalty can be a delay." You also need to take into account how your customers are likely to use your bar. An article on Mobitec’s blog says that while aesthetics is important, you also need to make sure that your furniture and fittings are well-suited to the space they’re in — you need to think about practicality as well as aesthetics when planning your bar. And one thing you shouldn’t forget about is your drinks menu. The drinks that you offer do as much to set the atmosphere as the decor, as Martin Cale’s article about Tiki bars in Vice makes clear. Offering drinks that are a little out of the ordinary can take your customers out of their everyday lives and into a different world. "When a drink is fragrant and frothy and frosty, with crushed ice and foam on top, and it shows up in a big sifter, there's no question about the romanticism of it. That first cooling sip helps you forget a lot of problems. But beyond the drink, it's about the complete transformative experience of leaving the outside world and coming to another world where it's dusk, it's moody, it's atmospheric, the music, the decor… Everything is part of the process of getting you to that point of relaxation and escape." Where's best to set up your bar? Where you set up your bar is as important as how you design it and fit it out. After all, a high-concept cocktail bar is unlikely to work in a sleepy suburb, while a cozy neighbourhood hangout is probably not going to fly in the financial district of a big city. You need to make sure that your bar’s location fits your objectives and your customers’ needs. "Location, location, location is the cardinal rule in real estate. But what does that have to do with how to run your bar? Ultimately, you have to choose which location fits your business, your patrons, and your goals. And remember, the better the location, the more expensive it is. You get what you pay for, so be creative and you can save money." But by contrast, Entrepreneur’s Bar & Club Startup Guide says that location is important, but it’s not necessarily everything. Although good foot traffic is really important if you want to capture impulsive patrons, you might prefer to focus on creating your own buzz somewhere off the beaten track and where the rents are cheaper. "People who know this industry well have polar opinions on the concept of location. Some owners and experts we talked to put enormous importance on the bar's location while others refuted its significance altogether. It all depends on what you want your bar to be and what your strengths are as an owner. If you want your bar to get impulsive neighborhood traffic in a particular area, then you should be closest, and most obvious, to them. 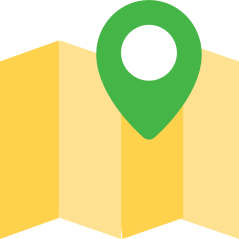 If you'd rather spend the time and money saved by more affordable real estate to develop your establishment's concept and create your own buzz and destination, your actual location won't matter so much." Workspace’s blog on starting a bar says that whatever atmosphere you’re going for, you need to ensure that you understand the area you’re opening up in, as well as how people behave. Market research is vital when scoping out the area — you need to make sure your bar is a good fit for the location and for the people there. "Of course, you need to understand the town you’re setting up in to make a good decision on the location of your bar. All towns and cities are different; understanding the mood and attitudes of clubbers and other segments of your audience, and of how the town’s nightlife works, are key. Don’t slack on your market research. Location can make or break bars, so make sure you get off to a good start." Project managers casual.pm say that location doesn’t necessarily play a big role in your success, and you can make a lot out of a location that’s off the beaten track. Conversely, a bar with an ideal location doesn’t have to take off. Every location has its opportunities and its drawbacks: it’s up to you to make the most of them. "Some say location plays a huge role, other claim that with a right approach you can make a profitable bar business at any place. For instance, an always crowded theme-bar in my are is situated in a hidden alley, in the basement without even a sign. Yet, you hardly ever find a table on a Friday night. On the other hand, paying thousands for a winning location (for a sports bar in front of a stadium) doesn’t guarantee you absolute success if your services aren’t great and the operations don’t run smooth. In any case, any location would have its benefits and challenges." Can’t live with it; can’t do business without it. And that’s doubly true for the bar business. When you’re setting up, it sometimes seems that you can’t sneeze without a license. NCASS, the Nationwide Caterers Association, goes into some detail about what you’re likely to need and how to apply. They point out that you need separate licenses for food, drink, music, and much else besides, and that you’ll have to apply through your local authority. "Whatever your business is offering, chances are you'll need a licence for it. Alcohol, entertainment, selling hot food and drink late at night and selling food on the street all require different licences. Make sure that you speak to your local authority about which licences your business requires and then apply as early as possible for any that you need." One thing that makes the road go a bit smoother, according to Startups.co.uk, is a British Institute of Inkeeping (BII) accreditation. 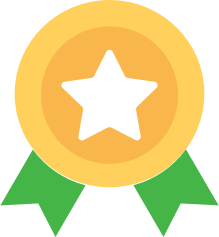 While holding this accreditation, known as a National Licencee’s Certificate, doesn’t guarantee you’ll get a license, it’ll certainly help you out. "To sell alcohol for consumption on your premises you must have a licence, which is awarded by the local magistrates. You must be over 18 years old, have no criminal record, prove that you are a ‘fit and proper’ person, and understand your legal and social responsibilities. Most licensing benches advise candidates to hold a BII (British Institute of Innkeeping) National Licensee’s certificate. Although this is not a guarantee of success, it will prepare you for the application. If you plan to develop the catering side, you will also need to contact the local environmental health department to ensure that you meet their standards." As well as making sure you have the relevant licenses — usually an A4 license, if people primarily come to your location to drink, as well as a personal alcohol license — you should make sure that you have the relevant insurance. While you don’t necessarily have to have insurance for your bar in the same way that you might for a car, it’s a pretty good idea. Insurance isn’t just a money-pit, though. Many insurers offer their policy-holders free or heavily-subsidised courses in bar management and health and safety, according to the team at Nightclub Pros. Having insurance can also impact on your ability to get backing from banks and other sources of funding. "There are some additional advantages to having insurance as well however. Many insurance companies will help you run your bar or nightclub more safely and efficiently by offering free safety courses for your employees to help train them and discounts on policies and safety equipment. In addition, if you need to look for a loan or for a silent partner to help expand your business, one of the considerations they will use to evaluate your viability will be whether you carry insurance and have a well thought out liability plan." No matter what kind of bar you’re running, from sports bar to cocktail joint, you’ll need a lot of kit. And no matter how much you buy, chances are you’ll forget something. And it’s something that only makes its absence known in the middle of a busy rush. And you’ll only notice after all the stores have closed. Luckily, Art of Drinks has compiled a list of kit any self-respecting bar should have to hand. "Behind the bar, you need a lot of bar tools and equipment, often more than you think, especially if you want to be perceived as a professional. Most bars will have the essential equipment, such as shakers and bottle openers, but depending on where you work, they may not provide all the things that make your job easier. Aside from the most common items (bottle opener, wine key, shaker), there is a whole list of other tools and things that are useful behind the bar." As well as making sure you have everything on the list, it’s important that you ensure that everything’s well-organised and easily accessible. Having to fumble around a dark cupboard every time you need to uncork a bottle of wine isn’t ideal. But this isn’t just a one-time job, as Bartender HQ makes clear. Your punters’ orders are likely to change with fashion and with the season. It’s your job to keep on top of these and make sure that your bartenders have easy access to everything they need. "This is the reason that I know without a doubt your bar station could be set up better. What’s popular changes all the time, you’ll make different drinks in the summer to the winter, different drinks come in and out of fashion and your customer’s tastes change! 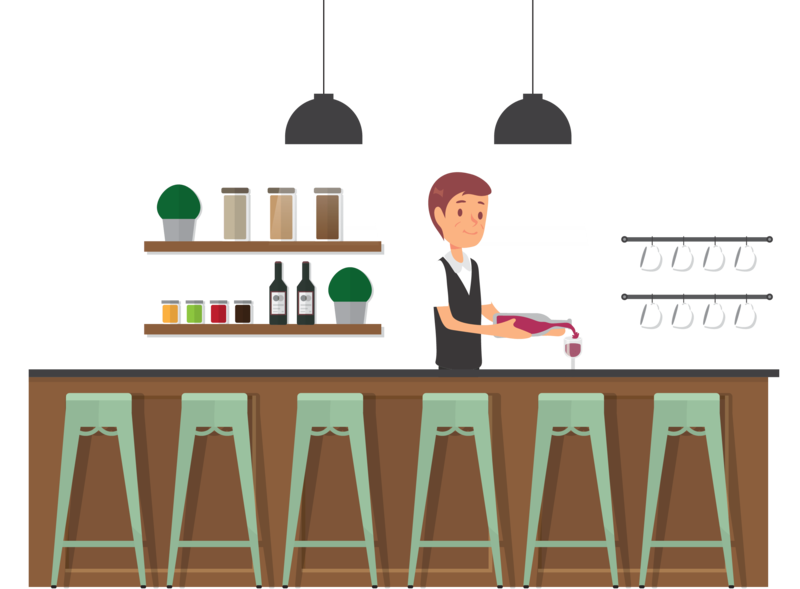 If you’re not sure what drinks your bar sells the most, ask a manager, anywhere with a point of sale register should have an easy to access breakdown of sales. If not, write a list before a shift and run a tally list of what you sell – you might be surprised what your best sellers are!" But having one of everything isn’t enough, especially when it comes to drinks. 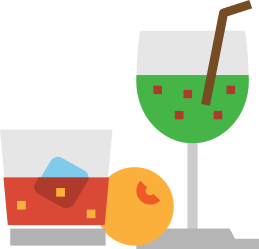 You’re likely to need to stock up on plenty of different types of drink to satisfy all your customers’ needs, ranging from no-name generic brands to top-shelf tipples. "You'll need well liquors, which are the cheapest. The name says it all. These bottles typically sit within easy reach of your bartender—in the well—and they're what customers get when they order a mixed drink or a shot of alcohol without specifying a brand. Think "vodka tonic" versus "Tito's and tonic." Call liquors are a step above this—customers ask for them by name—and top-shelf liquors are those really pricey brands that generally preferred by connoisseurs or celebrators." More and more bars are turning to technology to supplement the usual low-tech shakers and stirrers and muddlers that pretty much every bar has. They’re using tech to do everything from turning out new and thrilling drinks to running their businesses better. Vinepair talks about how bars are borrowing from restaurants in trying to use science and technology to do exciting things with their cocktail ingredients. "Now, progressive bars are utilizing innovative gadgets and scientific technique to produce show-stopping, category-redefining drinks. In today’s elevated cocktail culture, it isn’t always enough to simply serve good booze. Tech-savvy beverage professionals are infusing spirits sous-vide, seasoning cocktails with powdered acids, and producing beautifully balanced drinks on draft. Many of their techniques borrow and build on the culinary inclinations of forward-thinking restaurant kitchens." Tech is impacting every part of the drinks-making process, as an article by Camper English in Popular Science magazine makes clear. The article looks at some of the technology that forward-thinking bars are borrowing from science labs and cutting-edge molecular gastronomic kitchens. "As cocktails in top bars become increasingly sophisticated, more work is required to perfect them, and much of that preparation now happens behind the scenes. Rather than infusing fruit into vodka in a big jar sitting on top of the counter, bartenders spend time in a kitchen or laboratory using vacuum machines, tabletop stills, industrial filters, and other equipment. Ice is no longer fast-melting chunks spat out of a machine; it is frozen into specific shapes using specialized gear or hand-carved from crystal-clear blocks by professional ice carvers. A tasty daiquiri may include ingredients that were frozen with liquid nitrogen, distilled, and clarified, all to spare you from getting mint fragments stuck in your straw." But it’s not just drinks that are getting mixed up by technology. Bars are also turning to technology to streamline customer experience and understand their businesses better. One piece of tech that’s becoming vital for bar managers is an iPad POS system. These modern systems take the place of an old-fashioned till and allow you to process transactions much faster and easier. As well as this, they collect a wealth of data on each and every order you take, and generate analytics based on this data. They’re a steep change from old till systems, and make running a business much easier, as an article by Thrillist makes clear. 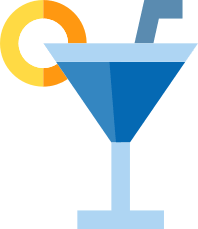 "Fast forward to present day, and you’ll find that the clunky hardware terminals and port hub have been replaced with tablets that are used daily at both bars. “Back then, you had to have someone from a company come set up the POS systems. On top of that, you’d teach yourself how to program each to make even the simplest changes,” he explains. Adding a new cocktail to the menu would require someone coming into the office, adding the physical buttons, and then resetting all the stations individually to reflect the changes made." "Choosing a point of sale system that’s just right for your business is incredibly important. With the right POS software, your business should produce all you need to live a fairly comfortable life. With the wrong POS software, your business will explode in a fiery spectacle." Maybe the article is a little, well, enthusiastic, but it’s an important piece of kit nonetheless. 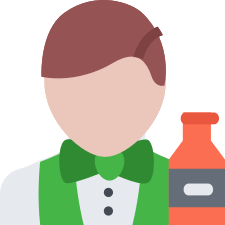 It’s no exaggeration to say that a well-chosen POS system can help you serve your customers better and sell more drinks. Finding the perfect bartender for your establishment can be a tricky job. There are a plethora of job sites and even apps that allow you to hire within minutes. So what exactly is the best way to find the crème de la crème of bar staff? "Job posting. It’s a thing. Get creative and get marketable. Whether it’s a “We’re Hiring” sign in the window or a posting sent through Craigslist, PoachedJobs, or Indeed, more and more people are responding to creative and easily accessible advertising. You can purchase ad space on Facebook, pay for certain keywords to show up attached to your business that make you pop out more in a search engine—your bartenders might not be using tech that often, but you’re going to have to dive in if just going to events isn’t enough. You have to change your outreach if you aren’t finding the people you need." When hiring bartenders, it goes without saying that they need to have learned the basics. However, a skilled bartender will have a plethora of hands-on experience. It’s this that sets the mediocre from the superb. The guys over at Web Restaurant Store delve deeper into this idea, stating that experience always trumps training. “Ultimately, working as a bartender is a hands-on job that cannot be learned solely by taking classes or reading books. Bartending schools are certainly valuable and teach students how to make a wide range of cocktails, but they aren't a substitute for real world experience at a busy establishment. As such, you should always look for experience over formal training when hiring a bartender." So, you’ve been searching for bartenders and believe that you have found the perfect individual, with both charm and experience behind the bar. According to Buzztime Business, the key to hiring an excellent bartender is to research their previous establishment. You’ll learn a lot about your potential hire this way. You’ve probably got a playbook for your interview, a set of questions to ask your candidates and few practical tests for them. Tell the customer honestly, but nicely, that you think they’ve had enough"
By its nature, the bar industry is in the business of booze and intoxicated customers. It’s crucial that you hire staff that you can trust and have the confidence in that they will do the right thing in potentially uncomfortable situations involving customers. Michael J, Neff over at Serious Eats further explores this issue and stresses the importance of hiring responsible, trustworthy bartenders. "If success hinges on showing people a good time, it also requires we act responsibly. Bars are in the business of intoxication, and we have to deal with all of the challenges which that implies. Drunk people fight. They steal things from the bathroom. They fall down. And enough people who are intoxicated enough won't hesitate for a second to rip a bar to shreds. Finding staff responsible enough to deal with this is not easy, and finding staff who don't also participate in the party is harder still. Behind the bartender on the frontline runs a whole behind the scenes operation. "If you have a busy bar you need to staff, consider hiring a team of one or two experienced bartenders. Support these bartenders with barbacks. Barbacks are tasked mainly with restocking, washing glasses and being general support. When there is downtime, a great bartender will be able to teach the barbacks about certain drinks, how to maneuver tricky situations and simply by working alongside them." Lastly, hiring staff is most certainly a big investment — so why not enjoy the experience? This will make the process feel less like a chore and increase the likelihood that you will find the perfect employee. "You need to get excited about hiring your staff. It's the most important investment you're going to make. If you don't have great staff, everything else is going to fall apart," said Anthony Caporale, Principal Consultant at ICE Consulting Group." What's the best way to market your bar? You can mix the best mojito in the world, but that’s no good if there’s no customers around to drink it. No matter how you go about it, you’ll need to market your bar. There are several ways of going about this, but one of the easiest is to let it market itself. Word of mouth marketing is by far the most powerful form of marketing. It works because people trust their peers and their recommendations more than they do advertising. "A McKinsey report says word of mouth is the primary factor behind 20 to 50 percent of all purchasing decisions. And you don’t need the McKinsey consultants to know it’s true. You buy whatever sauce the cook thinks is good. You buy the drill your dad says is right. You go to that bar because your friend takes you." Building up good word of mouth depends on a few things, though. By far the biggest factor influencing how people talk about you is how well you understand your customer base, and how that comes across. This is true no matter what kind of bar you’re setting up, as an article on Gourmet Marketing’s blog makes clear. "Bars survive on returning customers, so your promotions must appeal to your core customers and newcomers who appreciate the kind of operation you’re running. Hospitality is a service industry, but owners and managers often mistakenly target people who are out of their leagues. Your neighborhood bar probably won’t appeal to multimillionaire entrepreneurs unless they’re local eccentrics. By the same token, local factory workers aren’t likely to respond to upscale promotions that feature drinks made from pricey, top-shelf liquors and exotic ingredients." Building a community is a huge part of building word of mouth marketing. When you build a community in your bar, you give people a reason to keep coming back over and over again. Next Restaurants talks more about building communities in sports bars. "Darts, pool tables, and the like are common at sports bars. We all know this. When it’s a slower night of the week, these stay somewhat active. But why not build a league around your tables and dartboards? It’s a way to get people coming back in week in, week out — just like bowling alleys used to do, and still do — rather than once." But word of mouth can only take you so far, and there’s only so much you can do to influence it. Advertising on social media is a cost-effective way to make a splash, whether you’re using a Facebook page or Twitter account to post, or you’re paying for social media ads. 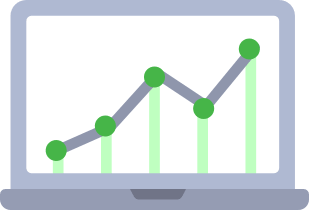 Sprout Social has done research showing how effective social media marketing is. "According to our Q3 2016 Sprout Social Index, 75% of people purchased a product because they saw it on social media. Of that percentage, 60.7% need to see a post 2-4 times from the company before making a purchase [...] If yo u’re not visibly active on social media, then you’re missing out on a large customer base." But you can’t just post on social media sporadically and hope for the best. In many ways, a barely-there social media presence is worse than no social media presence at all. It makes you look like you can’t really be bothered. If you’re going to do social media marketing properly, you need to put some time and effort into it. Your social media marketing strategy doesn’t have to be hugely complicated, but you should put the effort in. "A word of advice. If you’ve only got the time and money to run one social account on top of running your business, go for Facebook. The social network will give you the greatest variety of engagement opportunities, access to the biggest audience, and integration with a ton of free marketing tools." That said, the advice to stick to Facebook doesn’t necessarily hold true for every type of bar. "Focus on just one or two platforms for the time being, and think of your audience when you’re considering which platforms to use. If you cater to a younger audience, choose Twitter and Instagram. If you’re thinking of an older audience, go for Facebook. 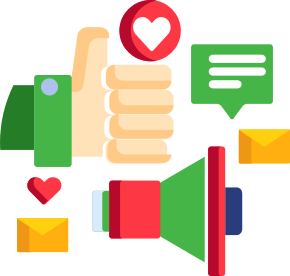 Influencer marketing combines the trustworthiness inherent to word of mouth marketing and the huge audiences of social media marketing. Influencer marketing allows you to spread the word about your bar. It harnesses the power of influential social media users and their networks. Although some influencers can charge hefty sums, you can get involved with influencer marketing on the cheap by engaging with so-called micro-influencers — think local photographers and writers. "A good way to get free publicity for your event is to look to local writers and bloggers. Make a contact list of all the people who write about events going on in your city and make sure you email them a personalized invite each time you throw an event." The key to keeping your bar running is making sure that you run a tight ship. You need to keep costs down and margins high in order to stay afloat. And a huge part of this is knowing what you’re spending on each and every drink, from opening up to disposing of your waste at the end of service. "Food and beverage costs can be your BFFs or your biggest enemies. It’s all in how you calculate your costs and use them to price your menu. The goal is to build in a margin that ensures profitability while being acceptable to guests. We’ve got you covered with the only beverage and food cost formula you need and tips for using it." Knowing your food and drink cost is one thing, but pricing your wares is another. Prices so steep that they send punters running to the hills (or to another bar) isn’t ideal. But neither are prices so low you’ll go out of business. "A well run bar should have an alcohol cost between 18-20% of sales. It’s the golden range for bar managers and beverage directors. And, like baseball players striving to have a .300 batting average, many bar professionals spend their days chasing this number. It can be difficult. Especially if you’re taking over a beverage program carrying a ton of dead stock, poorly priced drinks, or untrustworthy employees. But it can be done. Here’s how to get your alcohol cost to down to 18%." Of course, keeping costs down doesn’t mean much if your bartenders are slipping punters extra-strong drinks left, right and centre. An extra half-finger or shot might not seem like much. But it it all adds up. "Many of the profits that are lost in bars and nightclubs come from bartenders that overpour drinks. 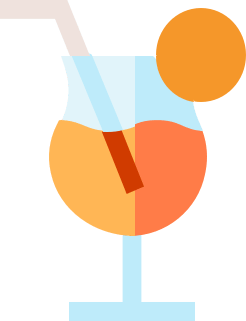 While an extra-strong drink may not seem like an issue, consistently overpouring drinks can end up costing your bar hundreds of thousands of dollars in the long run." There’s a myriad of different ways of running your bar’s service more efficiently and serving customers faster. Alfie Turnshek-Goins goes through some of them in an article for Serious Eats. "To minimize time to service many bars are batching cocktails, or portions of them. This technique has inspired some debate in the bartending community. Batching a cocktail means combining the appropriate ratios of all spirituous ingredients (and sometimes sugars), making a whole bottle of pre-measured, premixed liquor." There’s a whole plethora of ways to run your bar more effectively, and this is just scratching the surface. The best way to find out is to dive right in — good luck!